Most people will say that ceramic and porcelain is not porous and therefore cannot be sealed. 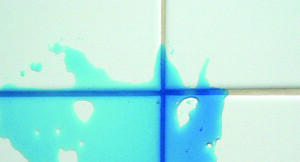 It is true, traditional penetrating sealers will not work on ceramic or porcelain tile. The fact of the matter is that HydroShield South Carolina offers a revolutionary protective coating for tile that is anything but traditional. As ceramic and porcelain tile are being produced, they are put through a kiln which heats the tile and provides the surface with a glazed shiny look. 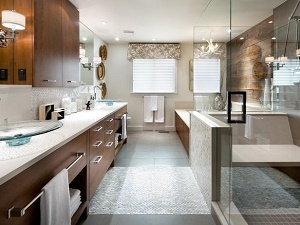 This glazed finish makes your tile appear shiny and is very much like a thin glass coating on the surface. Without proper protection this shiny glaze can begin to degrade over time. This is caused by the need to use acidic and abrasive cleaners in attempt to clean or maintain the surface. 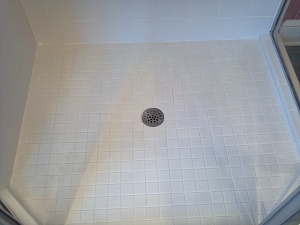 The shiny finish is worn away leaving the tile with a dull and aged look. The damage is irreparable. HydroShield South Carolina has the solution! 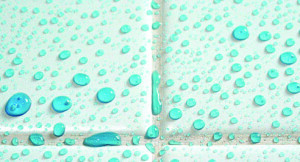 With a single application of HydroShield Tile Protection you can protect the shiny glazed finish of your tile and eliminate the need to use acidic and abrasive cleaners. We can keep your tile looking new for years to come.